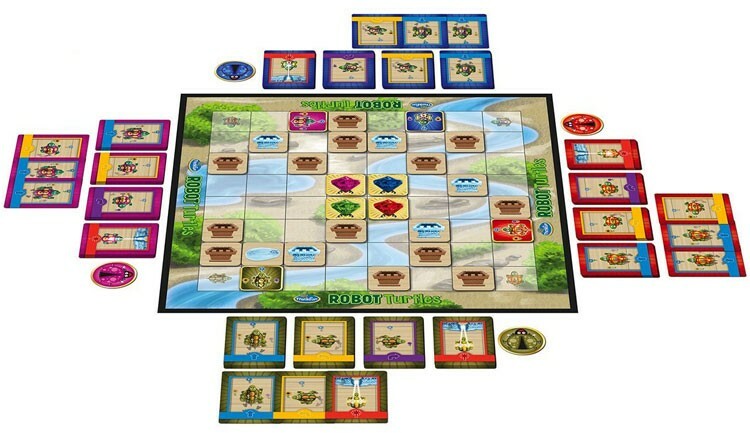 Robot Turtles is the most-backed board game in Kickstarter history! 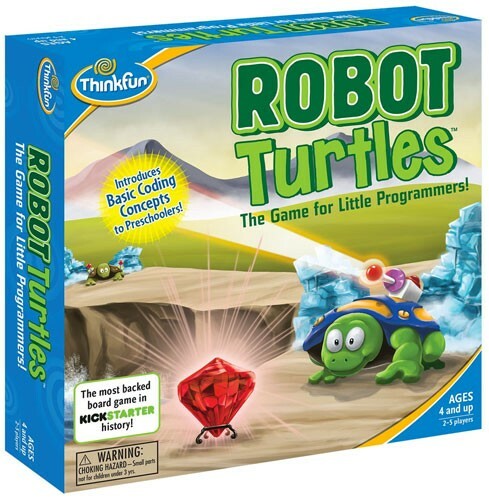 It sneakily teaches programming fundamentals to kids ages 4 and up. Inspired by the Logo programming language, the game lets kids write programs with playing cards. The parent "computer" moves the turtles according to the program -- but watch out for bugs! 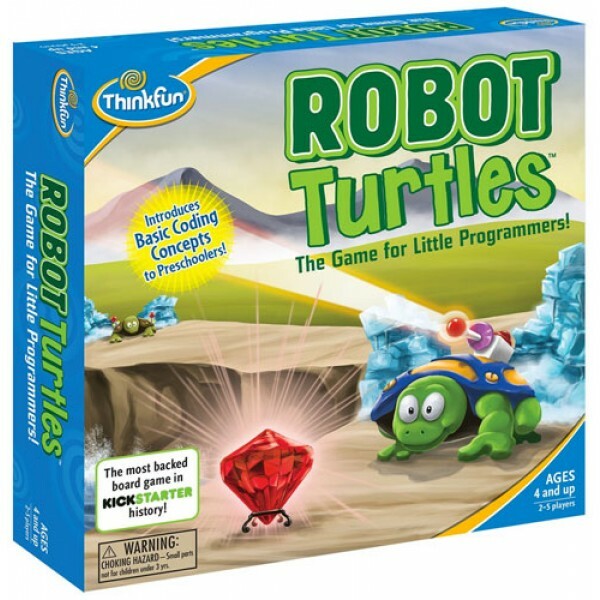 Debugging, longer code strings, and functions, as well as obstacles for the turtles to move around or smash through, add additional complexity as kids get the basics. This game for 2 to 5 players is a great way to get kids into programming!